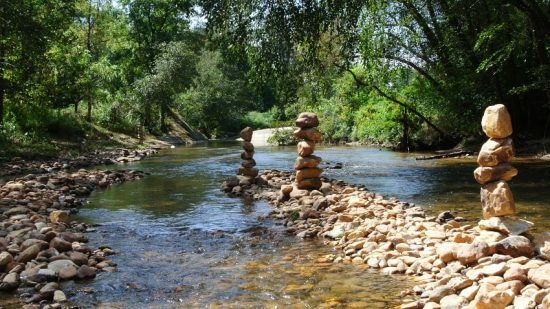 Day after day, Raymond spends much of his time stacking rocks in the Ararat River in downtown Mount Airy, NC. Where does he come from? Why does he do it? We may never find out. He’s a rock stacker, and we don’t know much more than that.